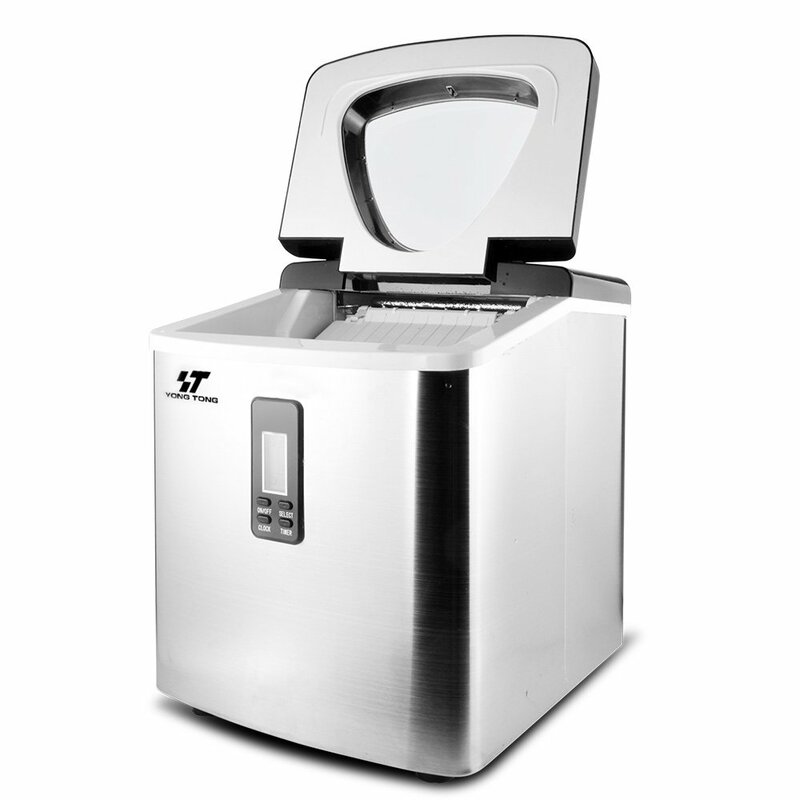 Select from 3 different ice cube sizes (S/M/L) via the front selection panel. 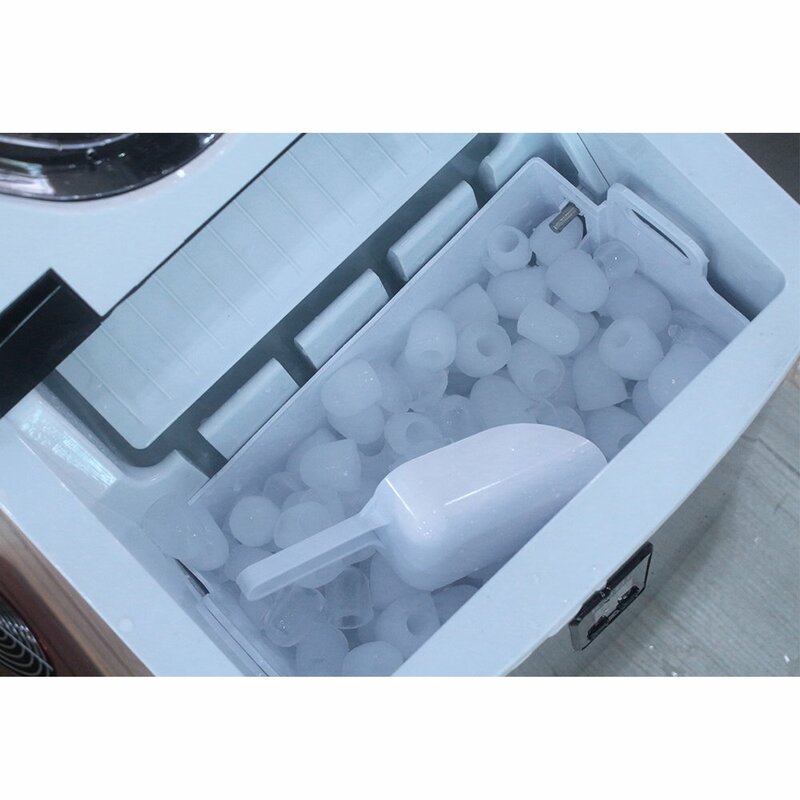 Fast Ice Cubes: bullet-shaped ice cubes are ready for cool drink in just 8 to 10 minutes. 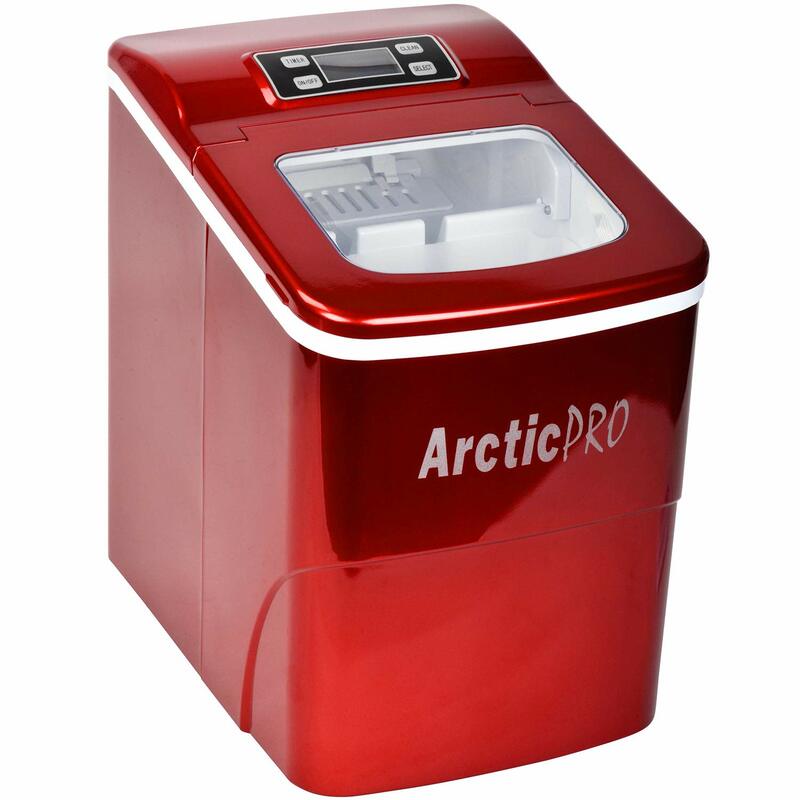 Large Capacity: stores up to 2.2lbs of ice at a time, Product Dimensions: Length: 11.8", Width: 13.5", Height: 14.7"
Great Procuctivity: It can continue to work without interruption during 24 hours. 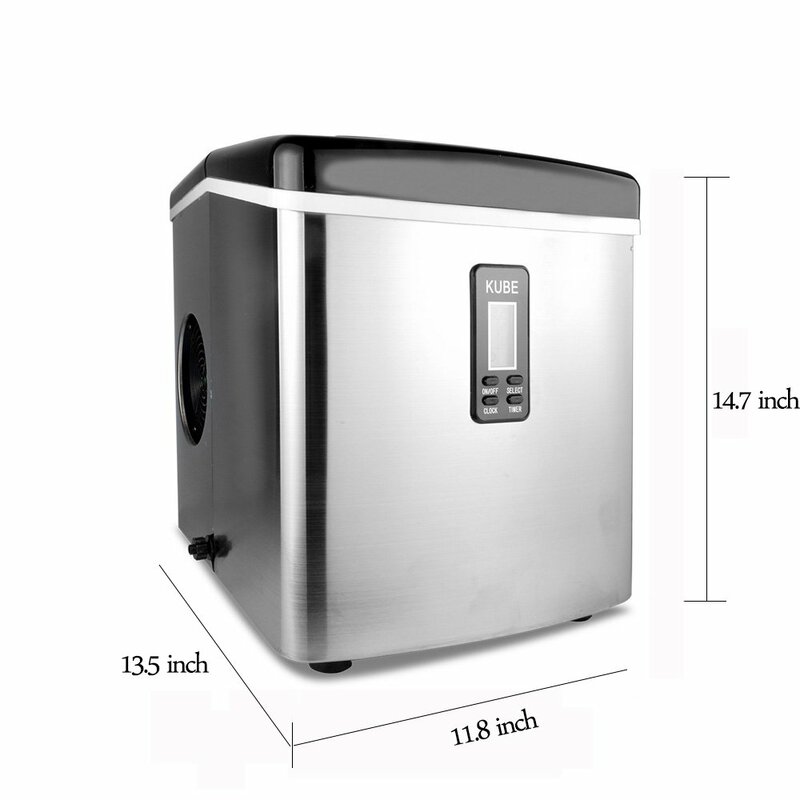 It is able to make up to 33lbs in 24 hours. 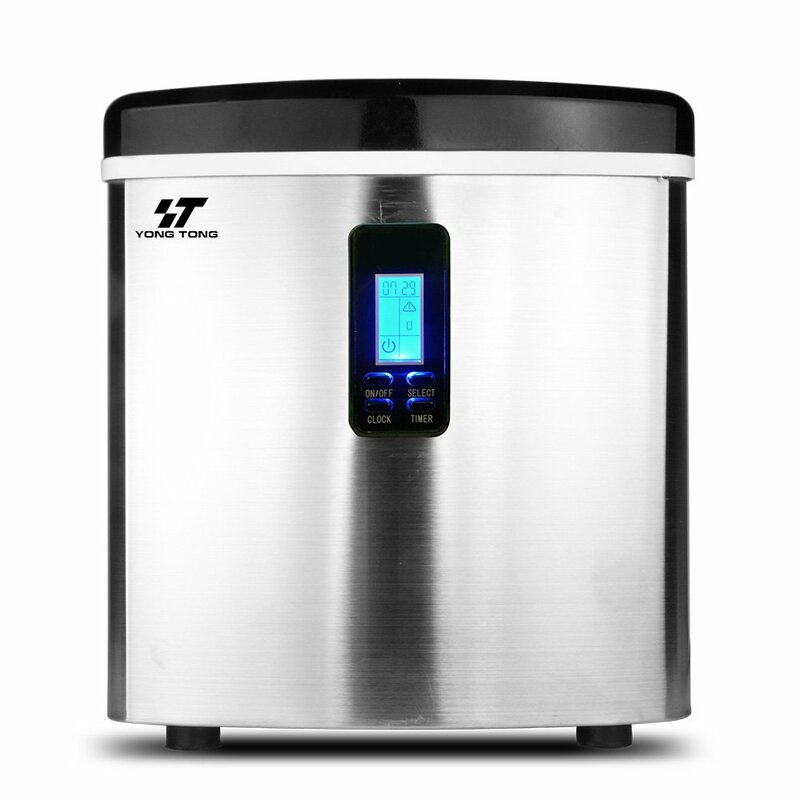 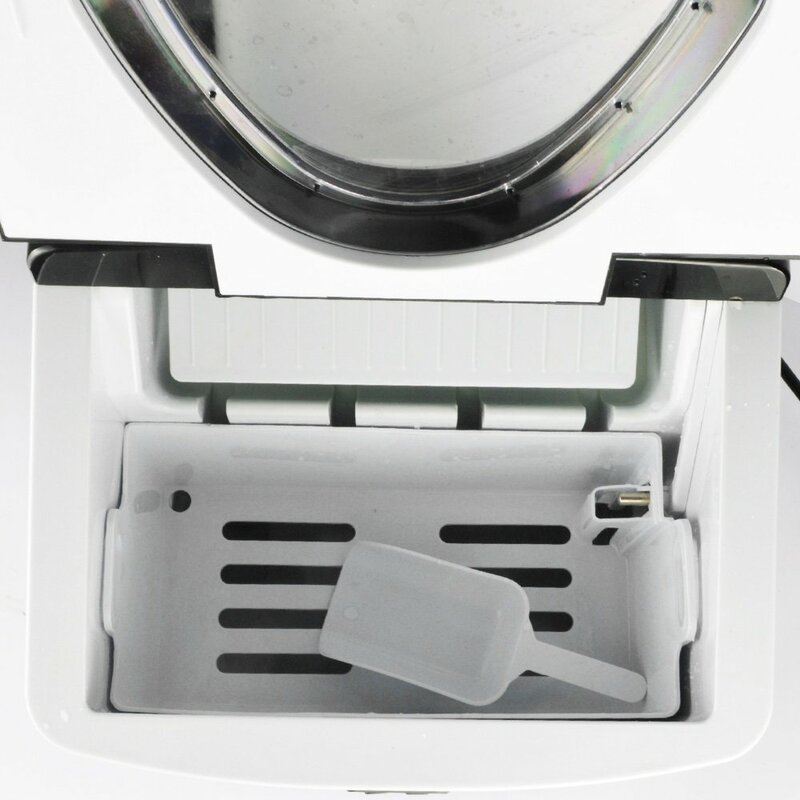 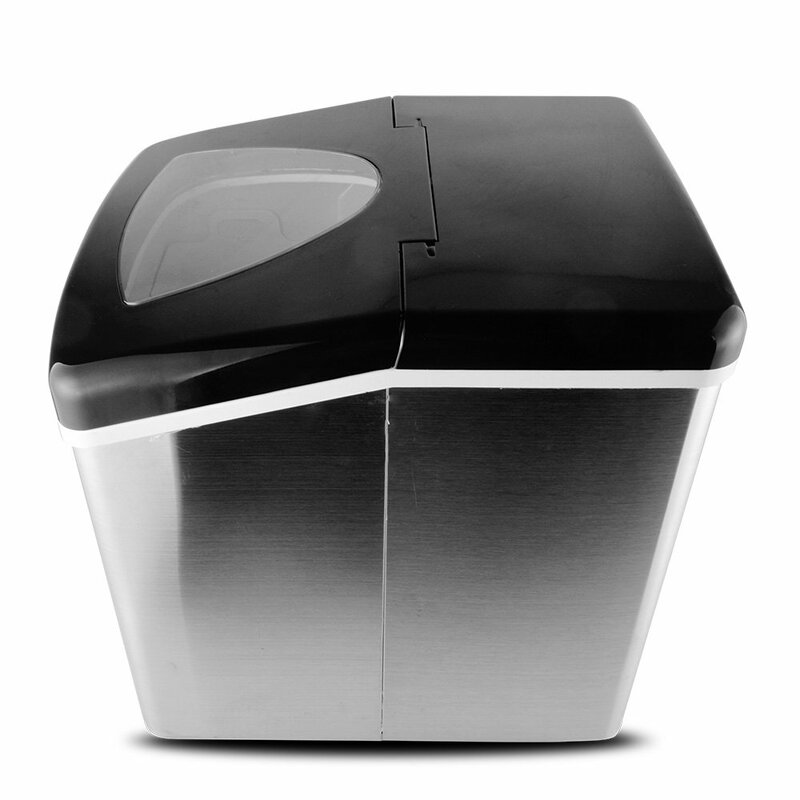 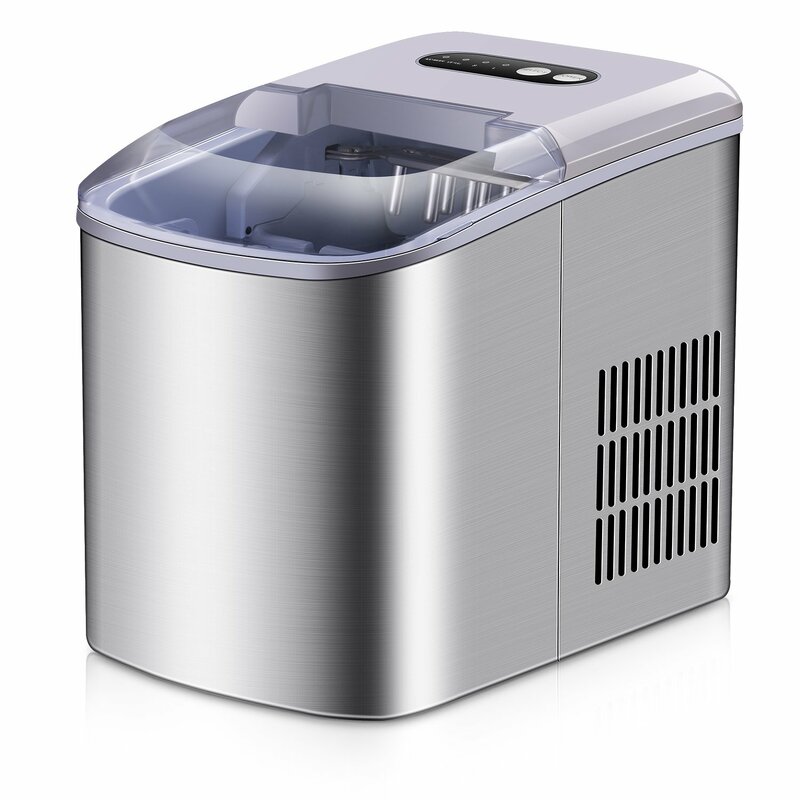 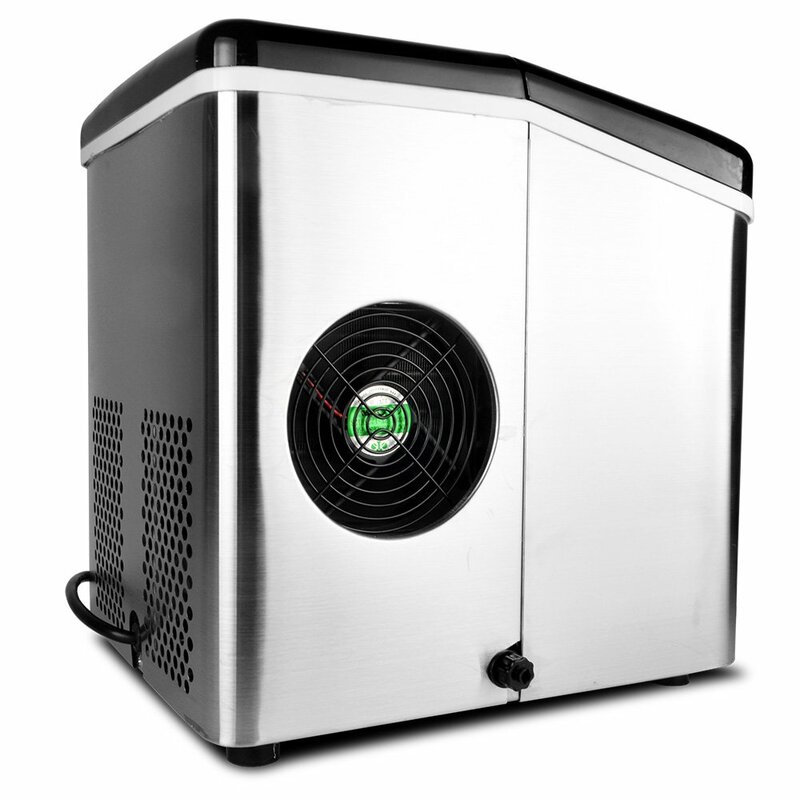 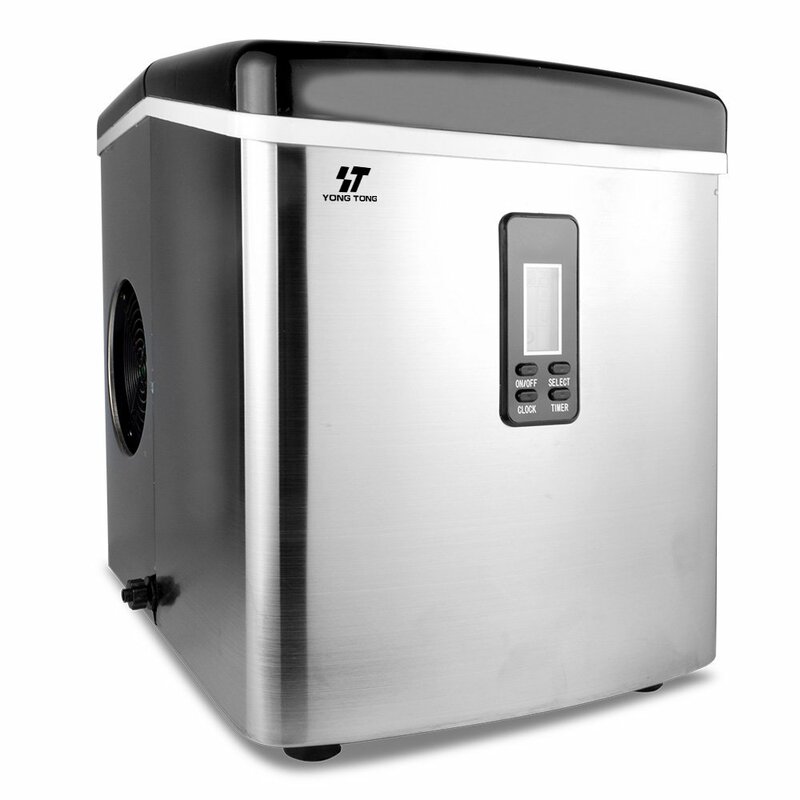 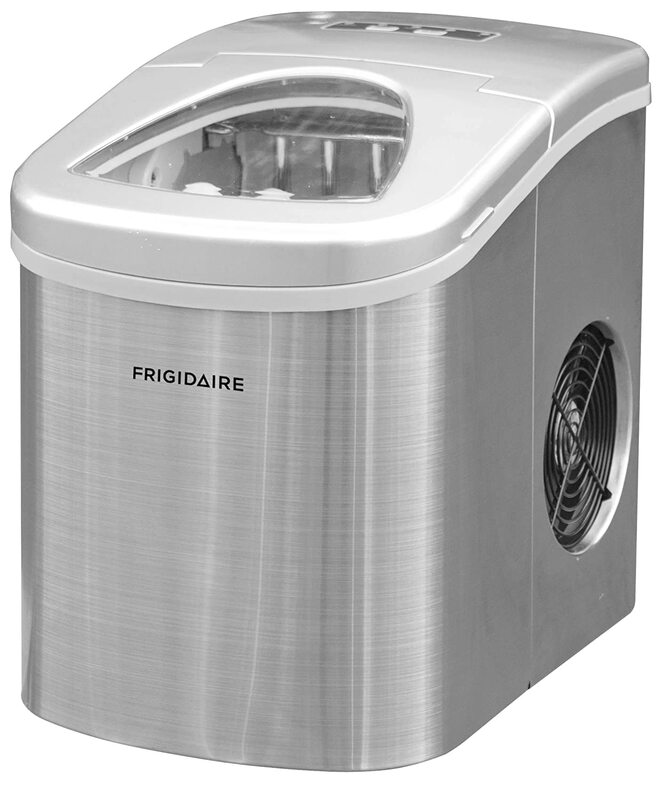 Auto Shut Off: Portable ice machine comes with small BPA free plastic ice scoop and removable ice basket, and automatically shuts off when ice is full.